These reports describe the heritage values and conservation issues in the Dampier Archipelago. The main focus is on the archaeological and scientific importance of the area, while acknowledging its continuing significance to Aboriginal people. These reports were commissioned by the National Trust of Western Australia, and made possible in part by AMERICAN EXPRESS through a program of the WORLD MONUMENTS FUND. Written by Dr Caroline Bird, MA (Cantab. ), MA (STS) (Deakin) , PhD (West.Aust.) and Sylvia J Hallam, MA, FAHA (Fellow of the Australian Academy of the Humanities), Retired Associate Professor of Prehistoric Archaeology; Senior Honorary Fellow, School of Earth and Geographical Sciences, University of Western Australia. 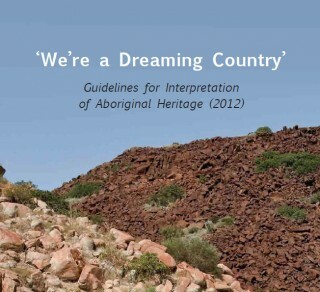 The non-technical report is aimed at the general audience and is based on a longer and more technical review of the values of the Dampier Archipelago, which aims to describe what is known and what is not known about the cultural heritage of the area, to outline its significance, and to identify the key issues with respect to its conservation for future generations.